The I-40 Corridor within Bernalillo County has become a vital segment of New Mexico's transportation infrastructure. This project widened 1.4 miles of I-40 between the Carlisle and San Mateo Interchanges, reconstructed a deteriorating pavement section, and rebuilt the San Mateo Interchange with the goal of increasing capacity on I-40, improving traffic operations, and improving safety for drivers, pedestrians, and bicyclists. 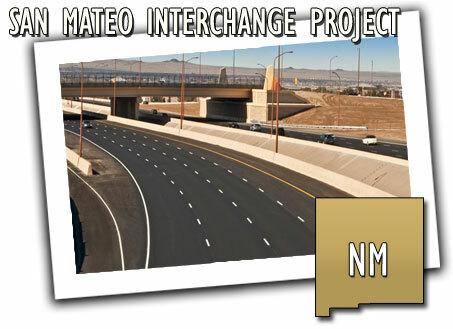 The widening and interchange reconstruction were each designed as stand-alone projects, but were merged when the New Mexico Department of Transportation realized that creating one bid package for construction would be more cost-effective and create less disruption. As a result, the timeframe for project construction was slashed from 540 calendar days to 390 calendar days. With this, the I-40 widening and San Mateo Interchange was completed ahead of time, saving the community a year of inconvenience, over $140 million in road user costs, and $2 million to $5 million in traffic control costs. Project Profile each week tells the story of how State DOTs are making communities better for people by delivering important infrastructure projects on time and on budget.